Hello guys! Welcome back to our blog. Today I want to share with you the products in my shower. When I went cruelty free it was hard to find cruelty free bath products, so here are some brands and products I’ve discovered that I love, and are cruelty free! I could not get the body wash bottle to show up true to color in photographs, sorry! Everyone body soap in the scent Citrus+Mint – I love this body wash and it isn’t super expensive. I highly recommend that you try this brand out, they have more scents and you are sure to find something you will like. Tree Hut Coconut Lime Body Scrub – This is the best body scrub! It is a nice texture, has a good consistency and leaves your skin moisturized but not oily. This scrub smells amazing and I think you need it in your life. Alba Botanica Shave Cream – I enjoy this shave cream, it makes my skin really soft and helps stop you from catching your skin or nicking yourself. I also love the cremo shave cream which is just as cheap and also cruelty free. Acure pumpkin and organ oil shampoo – This is such a lovely shampoo! I enjoy that it doesn’t dry out my scalp or my hair and it gets my hair incredibly clean. Highly recommend this if you want a gentle shampoo that will also clean your scalp well. Giovanni 2chic avocado and olive oil shampoo – This is the other shampoo I keep in my shower. It doesn’t get my hair quite as clean as the Acure, but I would recommend this if you have dry hair and need moisture! Share our content with others who might be interested! 1. comb through your hair with a wide tooth comb, it makes a big difference! After detangling, I shampoo. This is a really nice shampoo, very moisturizing and it gets rid of any product buildup on your scalp while still being gentle. It is also very affordable so I highly recommend this if you have curls or just dry hair in general. Once a week I use this hair mask! I absolutely love it, it leaves my hair so soft and silky and defrizzed. My hair strands are always dry until I use this mask. Highly recommend this for a cheap hair mask full of natural ingredients if you don’t want to DIY one! This conditioner is my absolute favorite. It is so rich and will leave your hair soft and silky. It moisturizes my curls and eliminates frizz, this is the one item I allow myself to splurge on for haircare! I apply this and let it sit for a few minutes. Then I rinse it out and get out of the shower! After I get out of the shower the first thing I do is wring my hair out, then I apply this to the ends of my hair and work my way up to my scalp, so that by the time I am at the top of my head there is very little product on my hands. This curl cream is so good and so affordable, you need it if you have curls. It makes your curls moisturized, defined and they bounce! This made a huge difference in my hair, it never gets frizzy and the curl definition lasts for a few days. After curl cream, I use a styling product. This is a super lightweight gel, it gives extra moisture to your hair, and it also helps hold in any styling that you do. I scrunch my hair with a microfiber towel just to make the curls in my hair tighter, and this product keeps my curls the way I want them to look. This is what my hair looks like after it dries! Those are all the products I’ve been using in my haircare routine. I hope you guys enjoyed this post, it is a little bit different than I’ve ever shared before so I hope everyone liked it! Hello my loves! Welcome back to our blogs, and Happy New Year to all! I cant wait to see what 2019 has in store for all of us, and all of you! Comment down below what one of your New Years resolutions is. Before i get too deep into this blog i really would like to thank all of you for follow our journey thus far. Hailey and i always say this, but its very true. When we started this blog we had no idea how big it was going to be, we had dreams of our blog becoming big, but we had no idea how quickly this would all gain, and many of you have been following our post since we were in our fetus stages of blogging. Thank you all! We love you all so much. Now that you guys are all probably thinking “OMG Christine, get on with the blog”. I shall. Hello guys! Welcome back to our blog. Today I want to share with you my November favorites, and there is quite a few! Physician’s Formula The Healthy Lip liquid lipstick in berry healthy – This is a beautiful berry/mauve shade! What I love to do with this is dot a little bit on the center of my lips and then smudge it out with my finger for a matte lip tint! Physicians Formula butter highlighter in pearl – My skin always looks so dry and dull in the winter, and this has been my favorite highlighter to use, I use it every day. It has a beautiful formula and a lovely glow. Urban Decay Comfort Matte Vice lipstick in Backtalk – I love this as a lipstick, but this past month I have been using it as a cream blush and I think it is gorgeous! Can someone tell me if Urban Decay makes this as a blush? Because I will buy it! Hello my lovlies! 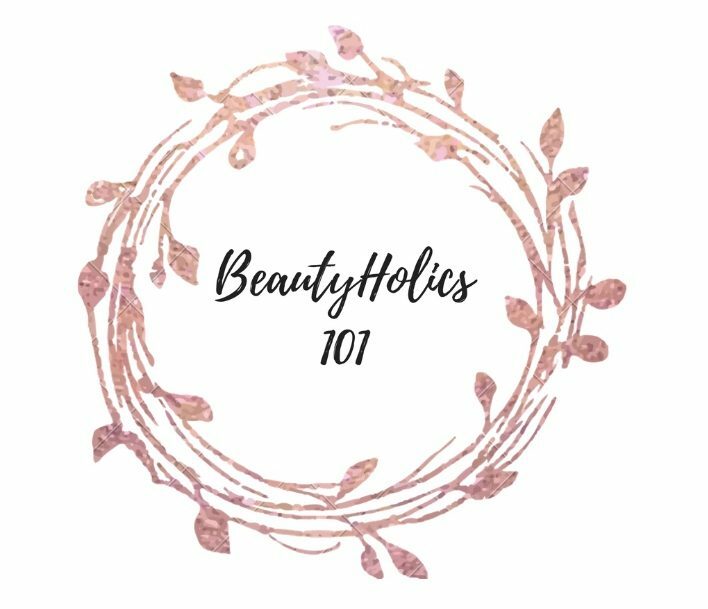 Im back with another beauty blog. After doing my dry and oily skin blog, i realized that along with suffering with both dry and oily skin, i also suffered both dry and oily hair. I know that many people on this beautiful planet also suffer this problem, so i thought i would share a few things i did to get rid of my dry hair!! One thing i did to help get rid of my dry hair was to start using hair mask. I would recommend making your own opposed to buying pre-made ones from the store. This way you know exactly what is going onto your hair. I mostly used an avacado mask twice a month on my hair. Try not to wash your hair too much, shampoo can and does often times dry out your hair when you over wash it. I take showers daily, but i only wash my hair every other two days. Also make sure that the shampoo you’re using wont dry out your hair. Some shampoos have acids and what not in them that are a death sentence for your hair. Once again, you never know what youre putting on your hair when using store shampoo’s and conditioners. When i had dry hair i used A VERY LITTLE amonut of olive oil as conditioner. If you use to much your hair will look greasy, and we dont want that either. Using olive oil on your hair will also help keep your tips nice and healthy. Lastly using blow dryers and shaking your hair dry can badly damage and dry out your hair. I always always always air dry my hair when i get out of the shower and i find hat this helps SO much! I know this is a short blog, but these are the steps i took to fix my dry hair. Comment down below if you have dry hair! Hello my lovelies! Its OCTOBERRRR!!!! Can i can a woot woot?! I love October, i love fall fashion and i feel like October is just the peak of fall fashion. I also realized how little i’ve posted on hair. I always say that our blog isn’t just about the makeup side of beauty, but all the sides beauty. Hair care/styles being one of them. Recently i’ve cut my hair, and as much as i miss my lush beautiful long hair, cutting it made me realize how many different hairstyles there are. I positively love this hair style for fall. I think it would go perfectly with a large plaid scarf, black leggings and some hunter boots or just brown riding boots. I love how this can work with any hair color and any outfit. You can dress these curls up or down. I love how this falt middle part can be so elegant and so simple. I also love how this hairstyle can work for both short and long hair! I have lately, over this past year grown a huge obession with bangs, espesically these curtain bangs. I love how these can be worn down, in braids, a bun. You have so much to work with when it comes to bangs. Although they are hard to manage at times (trust me i have them) I think that when pulled off correctly, it makes a perfect fall look. Now im a huge Meghan fan, and anything she wears both clothing and hair is just beautiful, but i love how elegant this low hanging messy bun! This can be worn with anything! And when it comest to fall and winter, do we really want to put any effort into our hair? Now you’all should know how much i love braids. I love how you can do and go literally anywhere with them. My favorite would have to be the dutch crown braid. I think its a perfect fall look! Not to be mistaken with the blunt curls, this angeld “I havent straightend my hair” look is so beautiful! Perfect for the fall with short hair! Well my lovelies, thats its for todays blog! Comment down below what your favorite hairstyle to do in the fall! Now you know how your girl love her some drug store makeup! Here is a little mini review on some new lipsticks I got! Now I lost this one just recently and I’m so upset! I really love this lipstick. It gives the perfect matte finish and it’s so long lasting! This one I love love love! I tend to lean more toward the red shades when it comes to lipsticks, but this is my favorite non red shade of lipstick I have! I love the thick matte finish, but it doesn’t feel thick against your lips! My only advice it to put on lip balm before application, once it dries it tends to flake off, lip balm keeps it smooth all day. Like I said before. I love red shades. I’ve never had a super bright red lipstick so I was super excited to get this. Unfortunately after I put it on it began to crust and flake, so I didn’t like it as much. I do now put on lip balm before hand, it does help, just not as much as I would like. That’s it for today! What’s your favorite brand of lipstick? Be Notified When We Post! Subscribe via email to receive notifications of new posts!